This is a great quick and easy dessert that you can make ahead of time. Plus it gets an extra serving of fruit in your day! Place the lavender buds in a piece of cheese cloth or another piece of cloth and tie securely with a piece of string. Place the lavender into a medium sauce pot. If you don’t have access to lavender buds or you just don’t like lavender no worries this recipe is delicious either way. If you omit the Lavender I would add 1/2 Teaspoon Cinnamon. Once the poached pears are tender remove from the heat and remove the lavender buds; discarding it. If you have time you can place them in the fridge to chill. If you are pressed for time you can place the pan in an Ice bath. Once the pears are chilled place them in your blender and blend on high until smooth. Please keep in mind that we are working with pears, so they will have a bit of a grainy texture which is normal. Using your favorite ice cream maker follow the manufactures directions. This process should take about 15 min. If you prefer a harder sorbet you can place in the freezer to allow it to firm up. If you don’t have an ice cream maker never fear you can also just pour the poached pear sorbet mixture into a sealable plastic container and place in the freezer for approximately 4 hours. 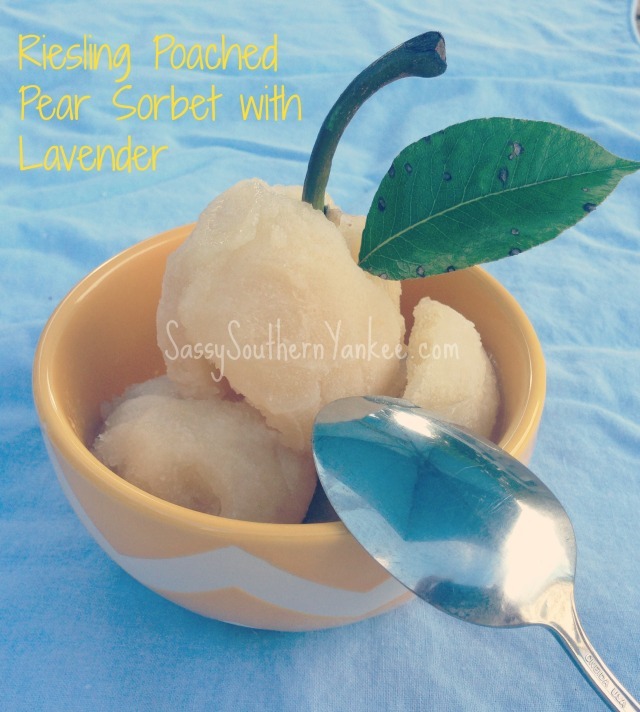 I hope your friends and family enjoy this Riesling Poached Pear Sorbet with Lavender as much as mine did! The texture is soft and the flavor is a gentle reminder of summer. I made this Riesling Poached Pear Sorbet with Lavender for an ice cream party because I have a friend with a dairy allergy. Pears make an exquisite partner for lavender. If you have access to the Lavender buds take them and place them in a piece of cheese cloth or another piece of cloth and tie securely with a piece of string. Place the lavender into a medium sauce pot. If you don't have access to lavender buds or you just don't like lavender no worries this recipe is delicious either way. Peel, core and chop all of the pear into ½ inch pieces. Don't worry they can be a bit of a hodge podge of sizes as long as they are generally the same size, so they cook at the same rate. 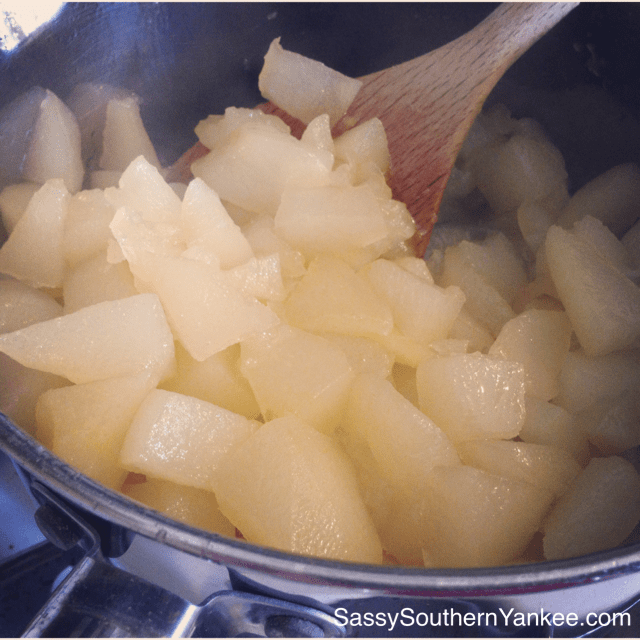 Add the pears and all of the remaining ingredients to the pot. I know it doesn't look like enough liquid for the perch to poach but I promise that all of the juices will release from the pears filling the pot. Once the poached pears are tender remove from the heat and remove the lavender buds; discarding it. 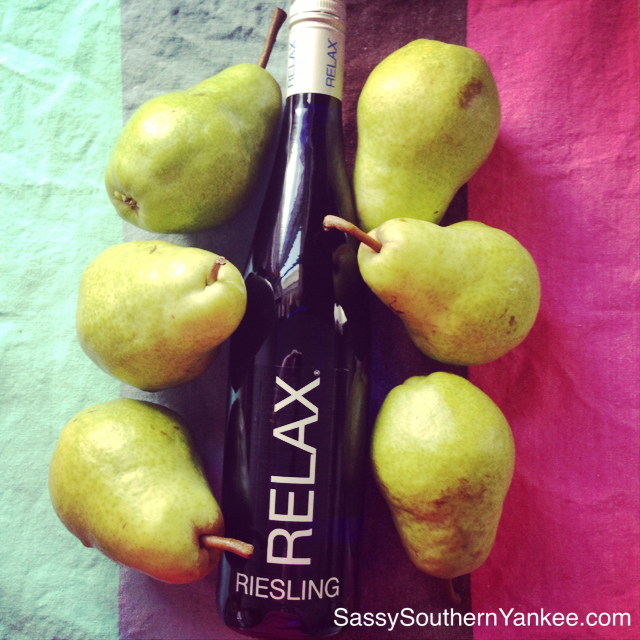 If you have time you can place them in the fridge to chill. If you are pressed for time you can place the pan in an Ice bath. Once the pears are chilled place them in your blender and blend on high until smooth. Please keep in mind that we are working with pears so they will have a bit of a grainy texture which is normal. Using your favorite ice cream maker follow the manufactures directions. This process should take about 15 min. 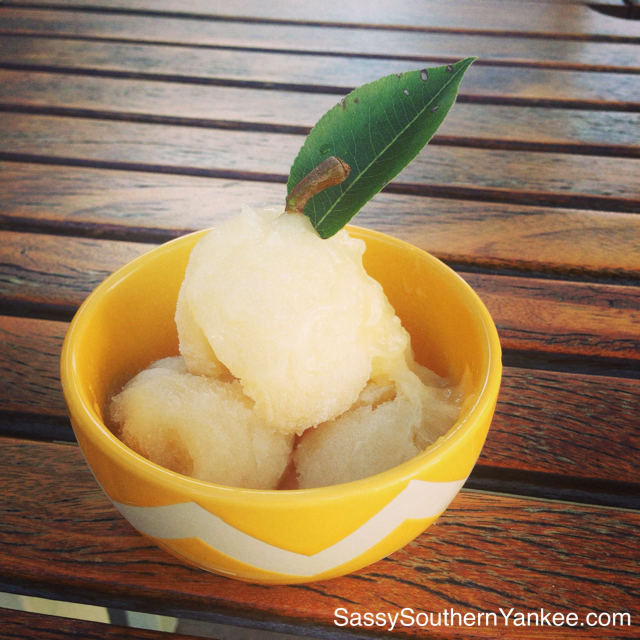 If you prefer a harder sorbet you can place in the freezer to allow it to firm up. 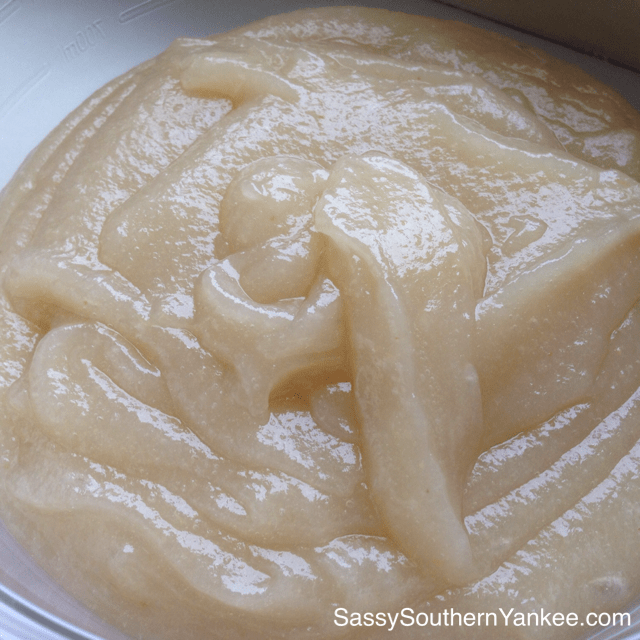 If you don't have an ice cream maker never fear you can also just pour the poached pear sorbet mixture into a sealable plastic container and place in the freezer for approximately 4 hours. This entry was posted in Dessert and tagged Dairy free Dessert, Fall Flavors, Gluten Free, Ice Cream, Jeni's #39, Jeni's Ice Cream, Jeni's Riesling Poached Pear Sorbet, Lavender, Pears, Poached Pears, Sorbet.